Want to cut out all processed foods and need a challenge? 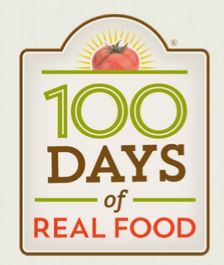 Lisa Leake from ‘One Hundred Days of Real Food’ describes a number of ways you can achieve your goal. You can commit to a pledge that enables you to achieve and progress. The commitment you are making is not eating a single ounce of highly processed or refined food (that means no white flour or sugar! ), it’s easy to follow her guidelines.